First Nations nurse administers shot at Nipissing Indian Agency, ca. 1930-60. Source: Library and Archives Canada, 06275.2. Our second episode in the series focused on issues of health and the environment in the history of Aboriginal peoples in Canada. We recorded a round table interview with several leading scholars of Canadian Aboriginal history and covered a wide range of topics, some which fell within the context of the crisis at Attawapiskat First Nation from 2011 and the subsequent political conflict on the eve of #IdleNoMore. Binnema, Theodore. Common and Contested Ground: A Human and Environmental History of the Northwestern Plains. Toronto: University of Toronto Press, 2004. Common and Contested Ground emphasizes the importance of inter- and intra-ethnic connections between plains indigenous peoples over time, drawing attention to the cultural diversity and social complexity of the region. Binnema is a phenomenal historiographer and provides an excellent review of existing scholarship after diving into the environmental history of the plains with an examination of fescue grasses, chinooks, and ungulate behavior to explain the human attraction to this region. This book provides a clearly written introduction to the environments of the plains while carefully assessing the complicated interactions of indigenous and non-indigenous peoples. Burnett, Kristin. Taking Medicine: Women’s Healing Work and Colonial Contact in Southern Alberta, 1880-1930. Vancouver: UBC Press, 2011. Focusing on the gendered nature of colonial medicine in what is now southern Alberta between 1880-1930, Kristin Burnett analyses changes in people’s healing practices as the non-indigenous population of the area increased. Indigenous women in this region were community healers and caregivers prior to non-indigenous arrival and once settlers began arriving, this healing work brought indigenous women into relationships with settler women. The increasing non-indigenous presence and stricter colonial regulations led to a decrease in domestic healing practices and a rise in non-indigenous medical intervention. This study of the human-to-human transmission of the variola virus that spread smallpox throughout North America at the end of the eighteenth century tells a “story of connections between people” to explain the magnitude of this epidemic. Fenn provides an engaging account of the American Revolutionary War through the lens of disease, and the devastation created by the virus in the interior of the continent is skillfully detailed through the use of fur trade documents, indigenous oral histories, and the writings of military men, explorers, and physicians. Fenn contextualizes the horrific number of indigenous people killed by smallpox in her explanation of the two hundred years of depopulation due to other diseases that occurred prior to this epidemic. Grygier, Pat Sandiford. 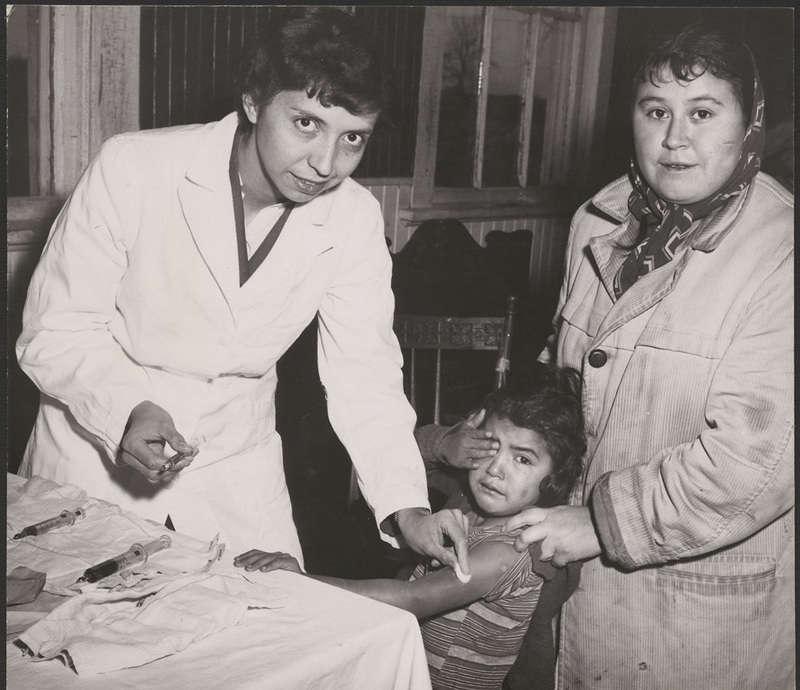 Long Way from Home: The Tuberculosis Epidemic among the Inuit. Montreal: McGill-Queen’s University Press, 1994. In a fairly damning examination of Health and Welfare Canada’s responses to the tuberculosis epidemic among Inuit people during the middle decades of the twentieth century, Grygier argues that the federal government “should have done better” to minimize the suffering “and some of the harmful social consequences of the medical programs” implemented by the department. This book details the racism and paternalism experienced by some of the 1,500 Inuit patients in tuberculosis sanitariums throughout Canada at the hands of medical professionals and government bureaucrats. Though the author describes some redeeming elements of the Health and Welfare programs put into effect (such as ending the epidemic, delivery of top-quality medical treatment to Inuit patients, and staff attempts to make patients comfortable in institutions), she deems the actions of a “careless, inactive government” responsible for social and cultural mayhem. British Columbia is described here as a “crossroad of colonialism” and Harris argues that the essential purpose of colonialism is “the transfer of land from one people to another”. This collection of essays, some co-authored, discusses the ways in which colonialism and modernity met with pre-existing indigenous lifeways in BC, the former estranging the latter from an indigenous homeland. Emphasizing the importance of place and geography in human history, Harris describes the processes of making space for non-indigenous immigrants to the province as ongoing and in doing so also reveals some of the complexity of non-indigenous settlers confronting colonialism in their twentieth-century lives. Hele, Karl S., ed. The Nature of Empires and the Empires of Nature: Indigenous Peoples and the Great Lakes Environment. Waterloo: Wilfrid Laurier Press, 2013. Hele’s collection of fifteen essays about Great Lakes environments and indigenous peoples aims to demonstrate the power of nature in diverse forms and the ways in which imperial powers in North America have (often unsuccessfully) attempted to control it. The topics covered are broad temporally and in subject matter, including sustainable environmental education; the Proclamation of 1763 and resulting land policy; uranium mining on the Serpent River First Nation; animal control programs in indigenous communities; water quality; and Toronto’s Great Indian Bus Tour. Indigenous bodies are at the center of this book and, as Kelm argues, at the center of the colonial drama that unfolded in British Columbia during the first half of the twentieth century. Kelm describes bodies as constructions, created and recreated “by the forces of society and culture”, and indigenous bodies are at the core of how Canadians understand Canada’s colonizing relationship with indigenous peoples. Divided into two sections (Health and Healing), Colonizing Bodies explores diet, nutrition, sanitation, environment, and the tragedies of residential schooling before shifting to indigenous ideas of bodies, illness, and medicine; Indian Health Services, the institutions and health workers included therein; and “medical pluralism” in BC aboriginal communities. Lawrence, Bonita. “Real” Indians and Others: Mixed-Blood Urban Native Peoples and Indigenous Nationhood. Lincoln: University of Nebraska Press, 2004. Lawrence explores urban indigenous people’s understandings of identity and the ways in which external definitions and restrictions have influenced their identities. The author locates some urban indigenous people’s sense of “placelessness” in a history of dispossession, alienation, and loss within the context of genocide. At the same time, however, the author also perceives resilience, survival, and regeneration in the experiences of her interviewees, some of which are contained in the book’s appendices. “Real Indians” and Others is organized into three sections, one examining the designation of indigenous people as “vanishing” and redefinitions (and codification) of indigenous peoples by gender; the second describing assimilationist measures, violence, and the challenges and rewards of creating community; and a final section looking into race, status, legal identities, and indigenous forms of resistance in an urban setting. Plains indigenous people’s health practices between the years 1880 – 1940 and the ways non-indigenous people and the Canadian government perceived and reacted to these practices are the subject of Lux’s book. The author shows that indigenous medicinal practices were used both by indigenous peoples and by white settlers to treat disease and promote health on the plains. In the final decade of the nineteenth century, a hunger crisis caused in part by indigenous people’s confinement to reserves and restrictions on their subsistence behaviors had long-term effects on non-indigenous perceptions of indigenous people that were not challenged because they “served the larger goal of assimilation”. Lux argues that a society’s approaches to healing reflect its culture and therefore, the ways in which the Canadian government approached health and treatment reflected Canadian beliefs and society. The author’s focus, however, is on indigenous people’s resilience as demonstrated by regaining control over community health in the twentieth century. Exploring the topic of wilderness in Ontario’s Temagami region, Jocelyn Thorpe contests colonial ideas of wilderness by detailing the processes of turning this region into a “famous Canadian wilderness” in the midst of its indigenous inhabitants’ assertions of territorial rights. Thorpe argues that Temagami is a mentally and physically constructed wilderness, made in a region that has long been the homeland of indigenous peoples. In the process of creating Temagami-as-wilderness, the Canadian government physically removed indigenous peoples from the landscape, marginalizing them to a reserve .025% the size of their homeland, and “immigrants of colour” were excluded from the wilderness creation process. Thorpe also investigates the ways in which environmentalist resistance to logging in the region contributed to notions of Temagami as “pristine wilderness,” furthering the colonialist redefinition of this place. This was an incredible episode. We had a huge panel for the round table that included some of the leading historians in the field. We also recorded this episode just before the start of #IdleNoMore. It is really interesting to go back and listen to our discussion of the some of the issues from last year and the reflections on the historical context.